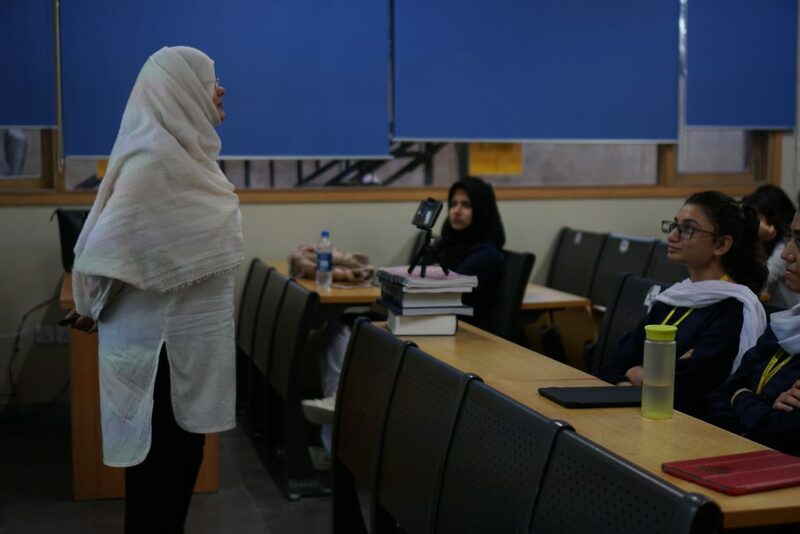 A “Beat the Blues” session took place by Ms Sayeda Habib, also referred to as a professional “Life Coach.” This session was more of a motivational interaction for our student body; revealing the concept of why humans sometimes feel “blue.” Ms Habib discussed the ways in which individuals internalise certain situations or emotions negatively, and provided solutions as to how they can improve their thinking process. She shed light on topics like overthinking, being pessimistic, assuming the worst, and trying to control the future. The interesting aspect about her presentation was how she used rationality and logic to break down the human psyche. At the end of Ms Habib’s talk, many students exchanged ideas as to how they could bring some structure and stability in their lives. Everyone emerged from the talk as more confident, more focused beings; ready to take on the challenges of life.